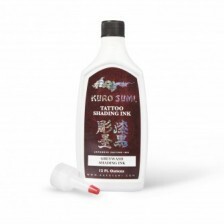 Professional tattoo colors Kuro Sumi are well-established classics in the tattoo colors market. They are made in Japan. But the biggest success of this brand was brought by three basic black colors: Outlining ink, Greywash ink and Soft Greywash ink. Glycerin contained in these colors is pure vegetable origin. Therefore the colors are convenient for vegans. 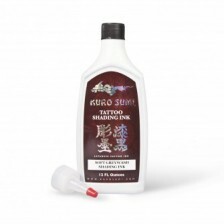 Due to increasing number of Chinese imitations, Kuro Sumi colors have become a victim of brand theft. Thus the producer tries to protect these well-known colors with various protective elements.